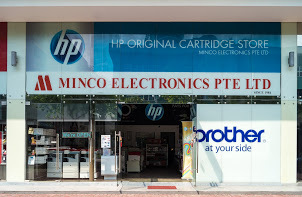 Minco Electronics Pte Ltd is established in 1984. Its core business includes distributing of IT consumables, accessories and office automation products to dealers a nd corporate end-users like banks, MNCs and government sectors. Being the leader in the office products industry and its commitment in providing excellent service, the company became an authorized distribution center for CANON and acclaimed Channel Partner of FUJI XEROX. Started in 1984, Minco is now at the forefront of office machines solutions. For nearly three decades, we have delivered outstanding products at affordable rates to a diverse and ever-expanding client range. At Minco, we dedicate ourselves to understanding your business and its needs. We operate with honesty and integrity, and offer solutions that appropriately befits your company. Our staff are well-versed, talented and experienced in the field. Whatever your office needs, Minco will find the right solution for you. Here at Minco, we believe that top quality products do not have to come at a premium. Instead all of our high quality range comes at unbeatable prices that are designed to help your business deliver. We are the authorised dealer for global brands like Canon, HP, Sharp, Brother, Kyocera, Fuji Xerox, Epson, Samsung, Aurora and so on. Having won numerous service awards, we have long been recognised as the industry hallmark for elite quality.